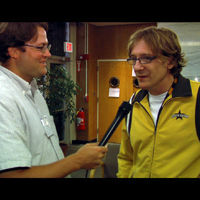 IndependentFilm.com|VIDEO: Chris Paine and his documentary "Who Killed the Electric Car?" home > film festivals > watch film festival video > video: chris paine and his documentary "who killed the electric car?" VIDEO: Chris Paine and his documentary "Who Killed the Electric Car?"